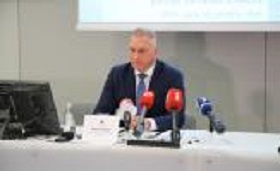 The State Revenue Service's Tax and Customs Police Department has dismantled major marijuana growing operation at a private home on the outskirts of Riga, seizing 23 kilograms of marijuana, as the Tax and Customs Police Chief Kaspars Podins told reporters LETA/BNS. Besides the large amount of marijuana, the police also confiscated EUR 9,000 in cash. The operation was started about a year ago, and the gang running the operation could have earned about EUR 1 mln, said Podins. The police also detained all members of the gang - not just the growers, but also couriers and dealers. "Five persons have the status of a suspect, two have been arrested. One of the leaders of the gang has a conviction for robbery," said Podins. Officers luckily avoided an armed standoff as the gang members were armed - the police also seized several Makarov and TT pistols, a Kalashnikov rifle, 454 cartridges and explosives, as well as various equipment for growing marijuana. "The guns were most probably meant for self-defense, but we have reasons to believe that the weapons were used in criminal activities in the past, which is why the weapons are now analyzed by experts," said Podins. The Tax and Customs Police also arrested a BMW and a Jaguar automobile, several motorcycles, quad bikes, expensive wristwatches, jewelry, and one property. According to Podins, the gang leaders are 45 to 50 years old, while all other gang members were born in the 1990s.